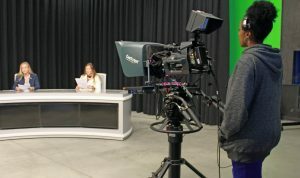 JVC Professional Video, a division of JVCKENWOOD USA Corporation, announced Santa Monica College in Santa Monica, Calif., has added JVC GY-HM890 ProHD cameras to the production studio in its new Center for Media and Design. JVC Professional Video cameras are the centerpiece of Santa Monica College’s Center for Media and Design. The studio features three GY-HM890s paired with JVC FS-790 ProHD fiber optic system modules, which connect directly to the camera body via a hidden 68-pin connector. Each camera is mounted on a Cartoni pedestal and is equipped with a CueScript prompter. 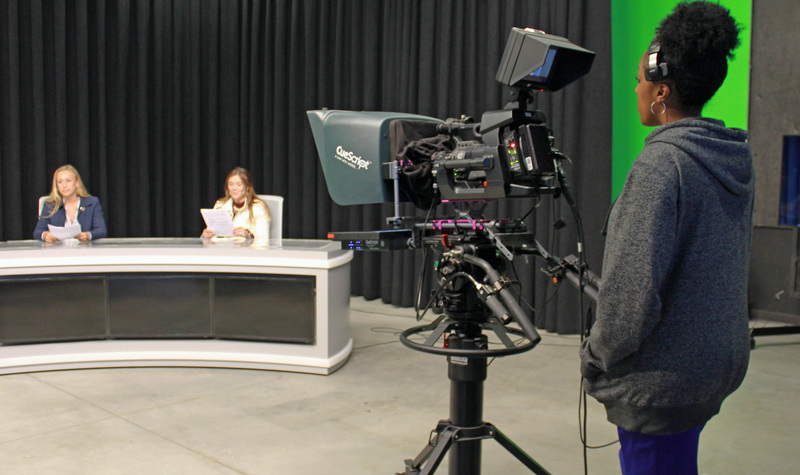 SMC purchased JVC cameras in 2011 for its flypack production system, and later purchased the GY-HM650 ProHD mobile news cameras for student newscasts. Lemonds wanted to stay with the same user interface for the new studio cameras. “It was a no-brainer to go with JVC again,” Lemonds says. While the CMD is still finalizing its workflow, SMC is already planning to expand its production schedule in the fall with an advanced track for sports production. The center is considering additional GY-HM890s to update its flypack, and recently received several JVC GY-HM170 4KCAM compact camera for its documentary classes.